SHANGHAI -- Samsung Electronics will equip its upcoming flagship smartphone in the second half of the year with an enhanced image sensor technology, dubbed “Isocell Plus,” for clearer and more accurate photos taken by its smartphones, according to a company official on Wednesday. 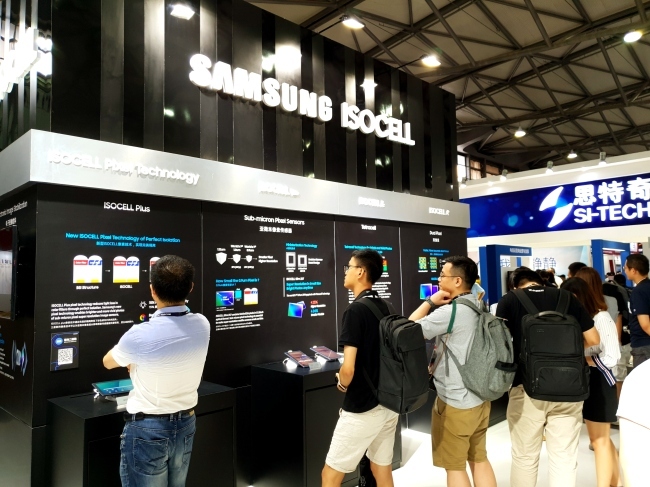 “The new Isocell Plus will start to be mass produced for adoption by new smartphones slated for launch in the second half of the year,” said an official at Samsung Electronics’ System LSI Business at the company’s exhibition booth at the Mobile World Congress Shanghai. The second-half smartphone is most likely to be the Galaxy Note 9 model, although the official declined to specify. The Isocell Plus technology is an upgrade from that used for the Galaxy S9 series smartphones. The enhanced technology delivers higher color fidelity along with up to a 15 percent enhancement in light sensitivity. It also enables image sensors to equip 0.8-micrometer and smaller pixels without any loss in performance, making it an optimal solution for developing super-resolution cameras with over 20 megapixels. For Isocell Plus, Samsung replaced the metal grids in image sensors with an innovative new material developed by Fujifilm, minimizing optical loss and light reflection. “This development is a remarkable milestone for us as it marks the first commercialization of our new material. 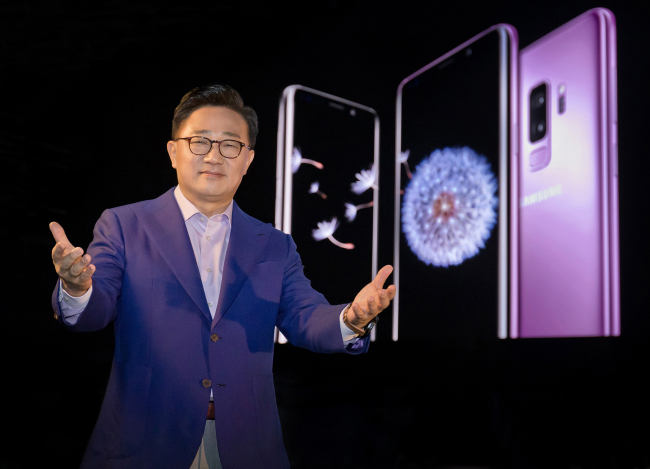 Through continuous cooperation with Samsung, we anticipate to bring more meaningful innovation to mobile cameras,” said Naoto Yanagihara, corporate vice president of Fujifilm. Samsung introduced its enhanced Isocell Plus technology at the Shanghai show this year, which could help raise market expectations for another premium smartphone with further strengthened camera features, slated for its unpacked event in early August. The South Korean tech titan has also partnered with China’s leading smartphone manufacturer Vivo for completion of the technology, and showcased a multiple number of Vivo phones with the Samsung image sensor modules at the Mobile World Congress.